Every now and then I get to showcase some actual talent on this blog. Today is such an occassion. 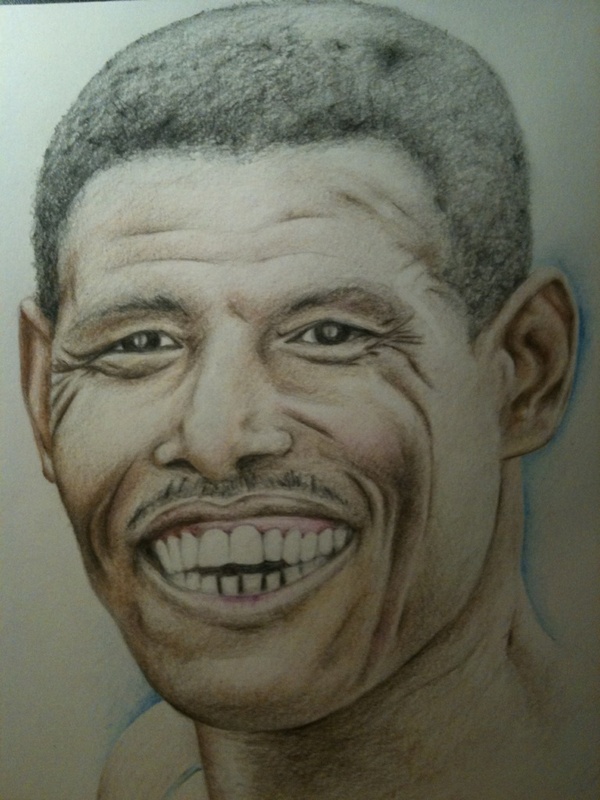 Below is a sketch of Haile Gebrselassie by one of my clubmates. Fellow distance idiot, Gracie. Aka Graceballs, The Artist Formerly Known As Axl, or indeed, Mark. Gracie’s tribute to the great man. Gracie is happy to take requests for other portraits. The only pre-requisite is a 2:03 marathon or a 26-minute 10k. Your choice. Well said Ed. Great stuff Gracie!